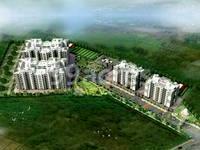 Grace City is one of the residential developments of Gracelands Developers, located in Kanpur. It offers spacious and skilfully designed 2BHK and 3BHK apartments. The project is well equipped with all the basic amenities to facilitate the needs of the residents. What is the location of Grace City?The location of the project is Barra, Kanpur. What is the area of apartments in Grace City? 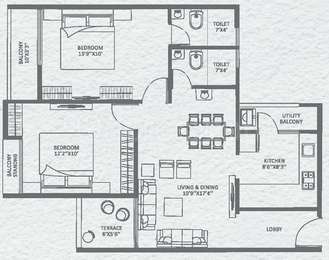 The area of apartments offered in the project ranges from 992.0 sqft to 1484.0 sqft. How much is area of 2bhk in Grace City? Two-room units (2BHK) in the project are available in an area of 992.0 sqft to 1070.0 sqft. 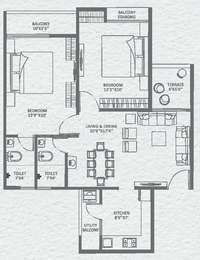 What is size of 3 bhk in Grace City? 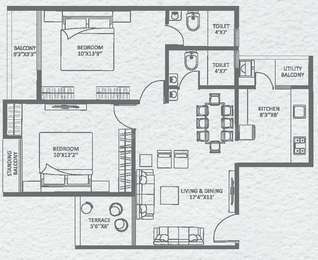 The area of 3 BHK apartments is 1484.0 sqft. What is the total area of Grace City?The project spans across 10.0 Acres. How much is price of 2bhk in Grace City? 2 BHK units in the project are priced at Rs. 2599040 to Rs. 2803400.